My daughter's preschool is a very small, private school so they don't have a library on site. Her teacher asked for volunteers to go to the library every month and check out some books on that month's theme. I love children's books, so I thought this would be a great way to volunteer for my daughter's class, and the beauty of it is... I can do it in my pajamas, whenever I have time, without leaving the comfort of my home. Now, how hard can it possibly be, you think? You just go to the library and ask for books on rain forests, right? Well, our local library is pretty small and has a very limited selection, so I learned that ordering the books on the library district's website is the best way to go. In our district, you can order books from any district library and have them delivered to your local library. You just drive over and pick them up. Still seems pretty simple... why do we need a whole blog post about it? 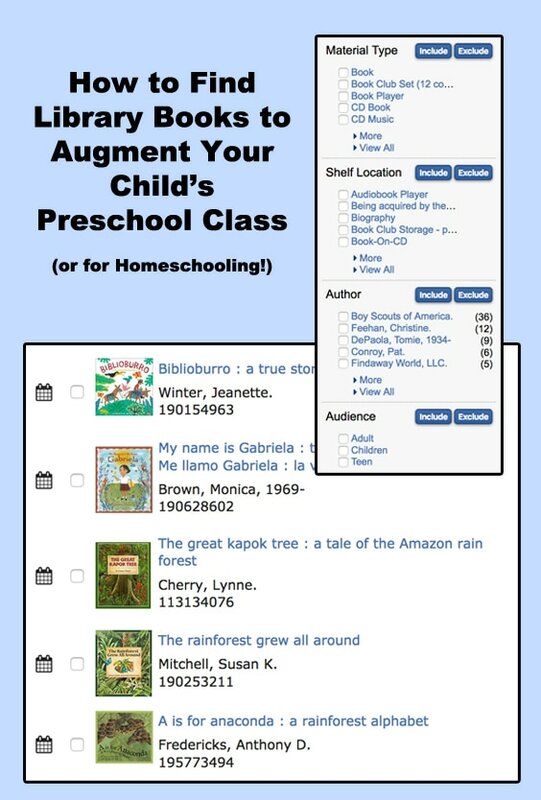 Well, after doing it for the past 5 months, I've learned some tricks that can make it easier and I also have some tips about how to find books that will provide the best experience for the little ones. 1. Find out about your library district's website. Find out if your library district has a website where you can order books or put them on hold. If they don't, then you can stop reading now, because that's what this post is all about. If they do, get yourself an account and then... Get on the website and figure out how to use it. See when your books are due. If you're really lucky, your library might have a way to email you when your books are going to be due. Mine automatically does this the day before they're due. There are several methods that I use to find books for a certain subject. I start with one, and if that doesn't yield good enough results, then I'll move on to others. Certain subjects are easier to find than others. Our library has a million preschool-level books on farms, but almost nothing on Native Americans. For preschool, I like to filter by Shelf Location - Children's Easy first. If I don't find enough, I'll start the search over and filter by Shelf Location - Children's Non-Fiction, Audience - Children, or Material Type - Children's Book. The latter ones will return results for all ages, so there's some sleuthing to be done to find books that are geared toward preschoolers. When I find a book that I think looks good, I'll look it up on Amazon to see if I think it's a good fit. I look at the recommended age range, the reviews, and the book preview if there's one available. This way, I can see if the book is written at an appropriate level. If the search results don't return enough books, I'll try to search some other terms. For example, when I searched for "Native American", I got almost nothing that was age-appropriate. But when I searched for "Indians", I got more. If searching the library's website doesn't return enough good results, I'll move to another method: Google. For example, I'll search for "books preschool South America." This always gives me a number of websites from homeschoolers and other blogs that have Top-10-type lists for children's books on the given subject. I'll find one that looks good, and then do a search in my library for it. About 7 times out of 10, it's there and I just didn't see it for some reason. I also check these out on Amazon just to make sure they're appropriate. I don't just grab the first 10 books I see on a subject, I like to get books that have good educational value or a message that pertains to the subject. Notice I said "that pertains to the subject". When I was looking for books on farms, I found a very highly rated book about two ducklings who went on an adventure together and got into some trouble. Ducks are a farm animal, and the book had a good message. But the message was not about farms, it was about working together and relationships, etc. You could have substituted any animal or (person for that matter) in the book and it would not have changed the story. So, I passed it by and chose books about different farm animals, what happens on a farm, machines that are used on a farm, etc. I also try to step outside the box a little bit, knowing that my daughter's teacher reads every book herself before she reads it to the class. When she told me they were doing "winter and Christmas", I thought, hmm, there are other holidays around this time besides Christmas. So, I looked for books on Hanukkah and other holidays. I also looked for books on how other countries celebrate Christmas. When she said they were doing Africa, I easily found books on African animals, but then I tried hard to find books on the African people and culture. If I find a really good book that's maybe a little bit too old for the class, I'll get it anyway. I figure the teacher can decide herself if she thinks it's a good fit. I can do my searches early, say the middle of the previous month, put everything on hold and then suspend my hold until a week before I need the books. That way I'm not checking them out too early and by the time I get them, the new month is starting and the class can keep them for a full three weeks of the month. I usually renew them so the class can keep them for the whole month, but it won't let me renew if there's someone else waiting for it. When the books arrive at my local library, I get an email. They usually don't arrive all at once... some will show up in a couple days and then others will show up later. They will only hold the books for so many days (I think it's 3), so I usually wait a day or so to see if any more books will come in before I go over there. One thing I have started doing is taking a picture with my phone of the spines of the books while I am in the classroom dropping them off. This way, I know that all the books were delivered, so if one comes up missing, I can prove that it was in the school. I just put the books all together so all the spines are visible, and take one picture. My library sends an email the day before a book is due, but this doesn't work for me because school is not open every day. If the book is due on Sunday, I'll get the email on Saturday and will have no way of getting into the school to get the book. I wish there was a way to set it to some other number of days, but there isn't. So I set a reminder on my Google calendar to send me an email a week before. If we are still in the current month, I will try to renew all the books so the class can keep them until the end of the month. Usually, there's at least one that will not renew because someone else is waiting, so I'll have to go pick it up and turn it back in. I have learned that my local library sometimes misses books that are turned in, or they don't scan right or something. So again, I have started to take a photo of the spines of the books when I'm at the library before turning them in. That way, if they say that I didn't turn something in, I'll have proof that I did. So this was my (very long-winded) explanation of how I get books for my daughter's preschool class. It's a great way to volunteer if you work during the week and can't actually volunteer in the classroom. Just make sure you have an understanding with the school of how the books will be treated and who is going to pay the fine if they lose or damage a book. In our case, they keep the books in a closet, and only the teacher is allowed to get them out. She reads one and then puts it back so the kids can't destroy it, and she doesn't allow other teachers to use them either. It has worked well for us so far, and the kids love the variety of books they get to read every day. 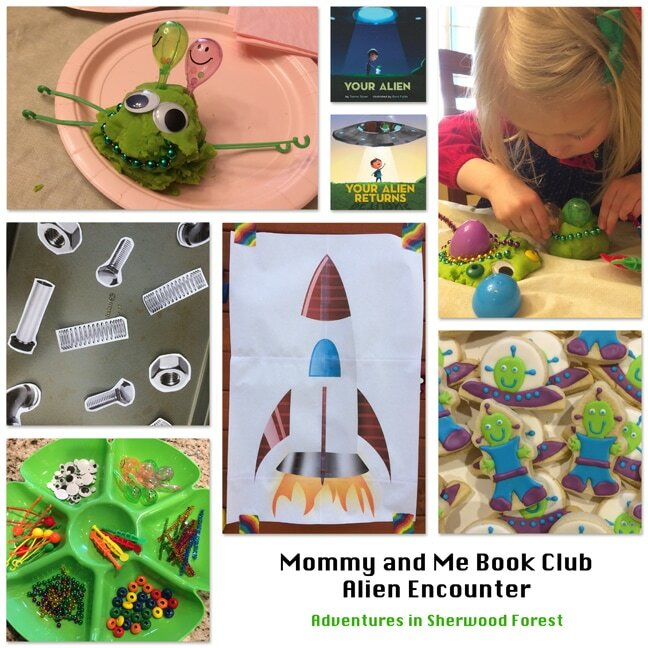 When I saw a post about starting a Mommy and Me Book Club on ToddlerApproved.com, I thought this would be a great idea for my local MOMS Club. I love the idea of pairing a book with a related craft, and themed food is always fun. 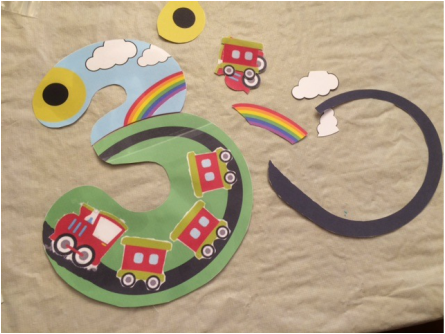 I also thought it would be a good idea to do some kind of movement activity, since sitting and listening to a book, then sitting and doing a craft is a lot of sitting for a young kid. 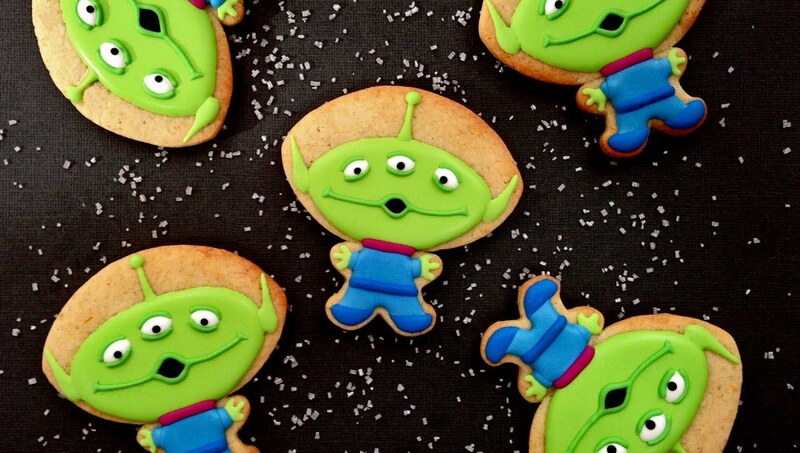 I did a search on Pinterest for “book and craft” combinations and ended up finding this Build Your Own Alien play dough project that was perfect. 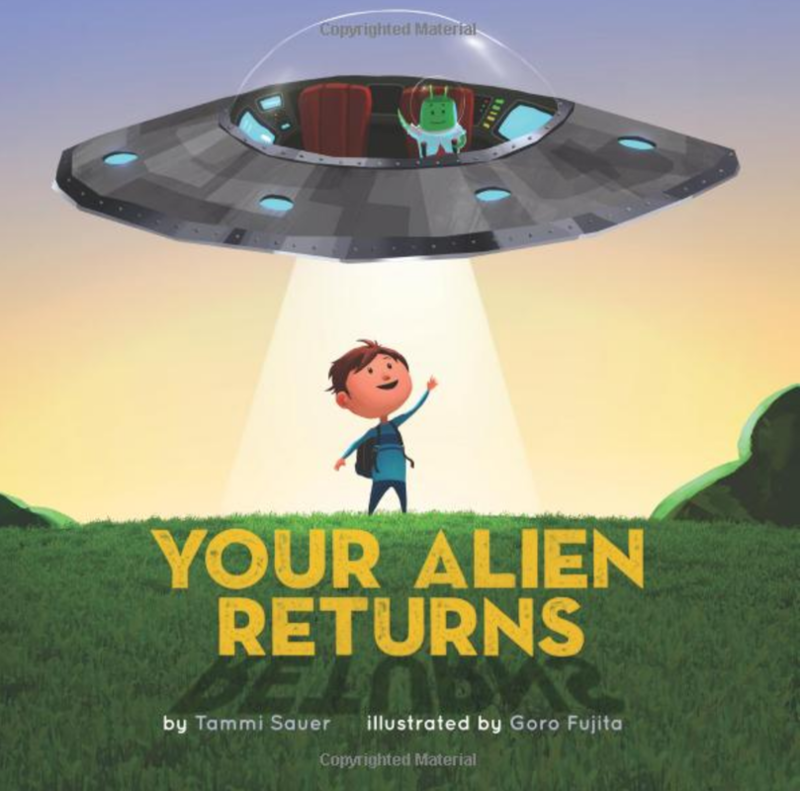 This was paired with a book called Aliens Love Underpants, but I couldn’t think of an effective way to provide a selection of ‘underpants’ for a large group of kids. Laminating is expensive and then I would have to cut them all out by hand. 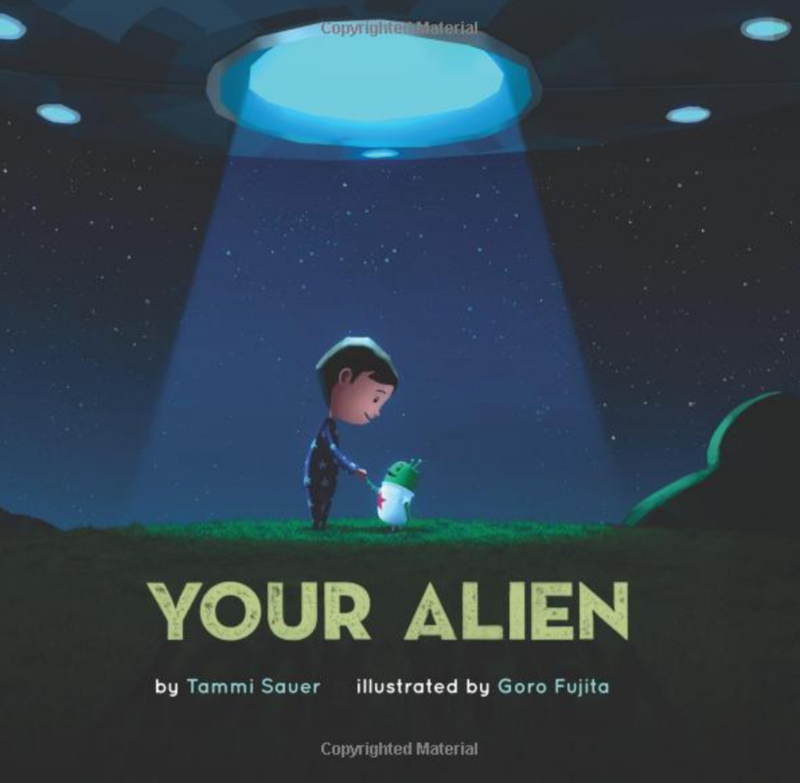 So, I looked for other alien books and found these two at my local library. The illustrations in these books are fantastic and I loved the stories. Because much of the story is actually in the pictures, they’re really best for reading at a one-on-one level to a child so they can study the pictures. But to make sure that the children understood what was going on, I pointed out different things in the illustrations, and talked to the group: “What’s he doing?”, “What’s going on here?”, “What are they seeing up in the sky?”, “Look at the crazy ice cream,” etc. I'm always looking for an excuse to make cookies, so I created these little dudes using a fire hydrant cutter and an upside-down Mickey head with the top of the ears cut off. 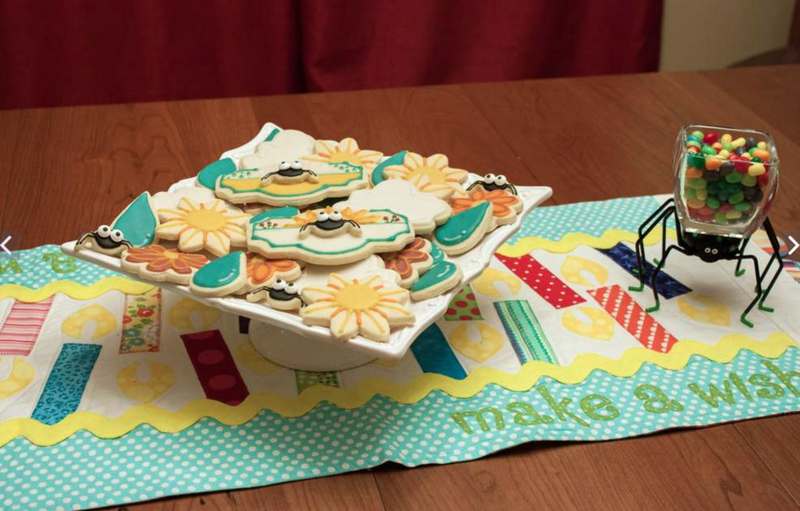 My inspiration came from these two cookies, the left from Lila Loa and the right from Collaboration with Cakes. 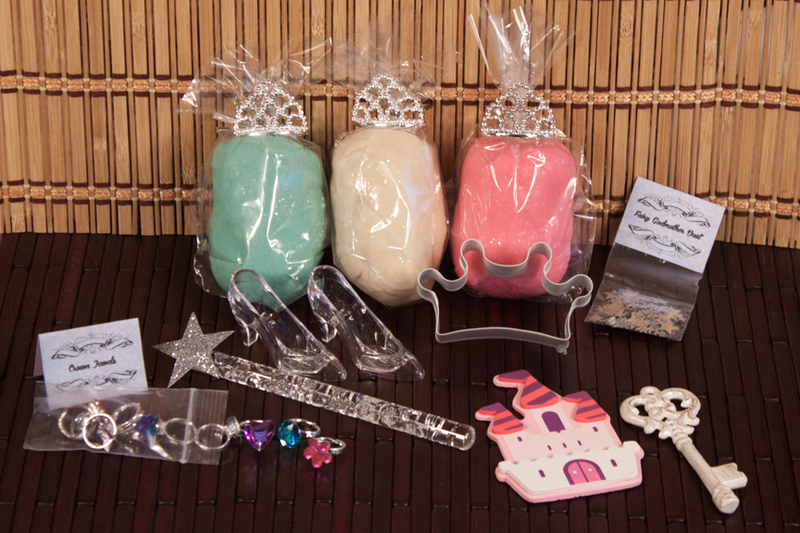 The items I provided for the “invitation to create” mostly came from the Dollar Tree. A pack of different sized googly eyes, metallic pipe cleaners, tiny rattles from the party favor section (they looked like alien heads to me), and hinged ball-knockers (okay that sounds really, umm, anyway). For the ball-knockers, I popped the ball part off the handle and provided the pieces separately. My friend had given me some Mardi Gras beads left over from a party, so I cut those up. Then I had some wooden beads that had come off an abacus that I bought in the dollar section at Target a while back. It broke after a time and I kept the beads for future use. 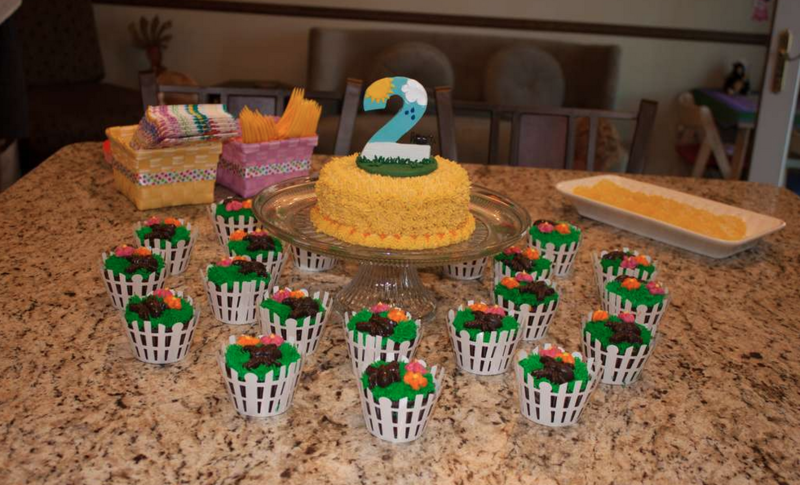 The sectioned trays are also from the Dollar Tree, I bought them two years ago for my daughter’s second birthday party when I had a taco bar. They were the perfect alien green. 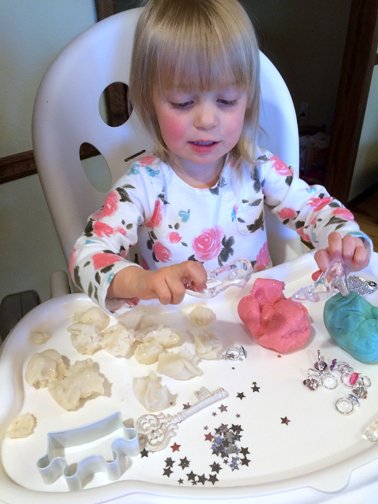 I made the play dough with this recipe from Tinker Lab. I like to add the coloring in the pan while the mixture is still liquid. I find that adding the color later results in a sticky dough, so I’ve always done it this way. I used Americolor Electric Green. For the movement activity, I came up with a sort of relay that had the kids running, criss-crossing my backyard to different stations. Though I’ve numbered the stations here to make things clear, they did not actually have numbers when we did it. The idea was that the kids were searching for moon rocks, but first they had to pick up space junk and then fix their rocket ship. Station 1 - This station had a pile of “space junk” (stuff that came out of my recycle bin). Things like plastic containers, cardboard boxes and magazines or catalogs work best because they are heavy enough that they won’t blow away in a breeze. Also they should be clean, of course. Station 2 – Two brown paper grocery bags to deposit the space junk in. 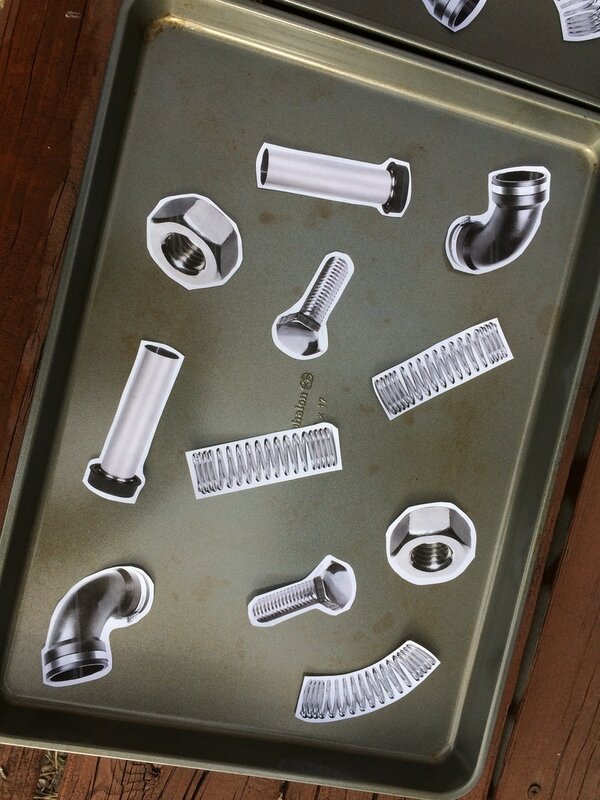 Station 3 – Two cookie sheets with paper cut-outs of various pieces of hardware and spare parts. 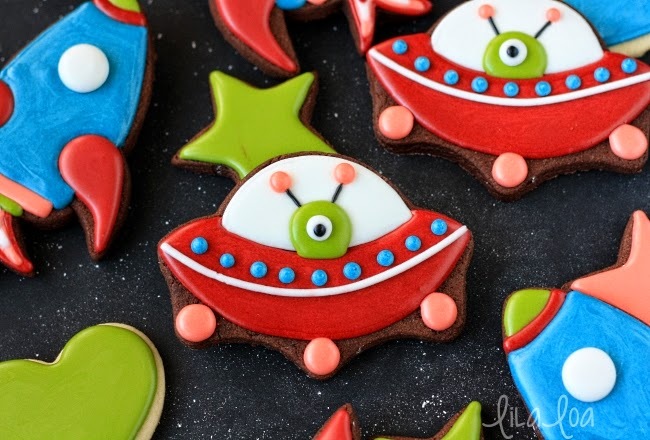 These all had tape on the back of them and were lightly stuck to the cookie sheet so they wouldn’t fly away, but the kids could easily pick them off without pulling the tape off the back. Station 4 – A poster of a rocket ship that the kids had to stick the hardware on. I used a free web tool called Block Posters for this. All you do is upload a picture or graphic, tell it how many pages wide you want it to be, and it will chop the graphic into blocks and output a .pdf file that you can print. 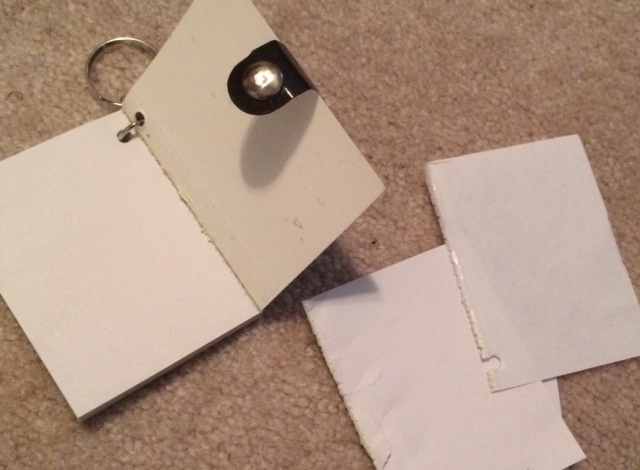 Then you just trim off the white borders and tape the pieces together. Station 5 - A pile of "moon rocks", plastic Easter eggs filled with candy and wrapped in aluminum foil. So, the kids had to run over to the space junk and grab a couple, run to the bags and toss the space junk in, run to the spare parts and grab one, run to the rocket ship and put it on, and then run to get a moon rock and then give it to their mom. Then they did it over and over again until all the moon rocks were gone, and those kiddos were out of breath! In hindsight, one rule I should have explained more carefully is that each kid was only allowed to take one moon rock at a time, because some of the kids were grabbing handfuls at a time, and one kid ended up with a ton while other kids only had a couple. The kids didn't seem to notice, but to make it fair for each kid, I would limit the number of rocks per kid so that they all end up with the same amount. You can use the moms to enforce this by telling them that the kids are only allowed to have so many. We've already had one mom volunteer to host Mommy and Me Book Club next month, so I can't wait to see what we are going to be doing! 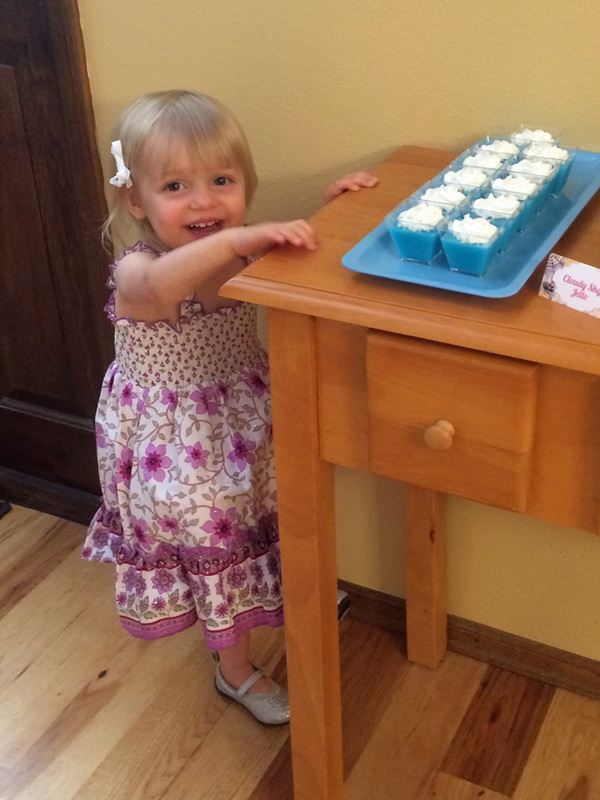 For her first birthday, Claire got this Step2 water table from her Mémère, and two years later it's still one of her favorite things. 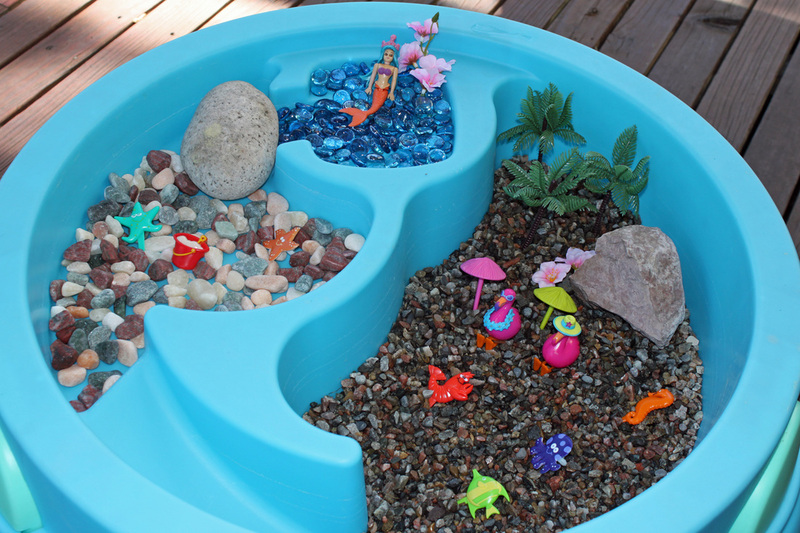 This is one of the simplest water tables out there, not a lot of bells and whistles, but what I love about it is the three separate sections that lend themselves so well to creating "small worlds". A while back I created a dinosaur small world based on the one pictured here. 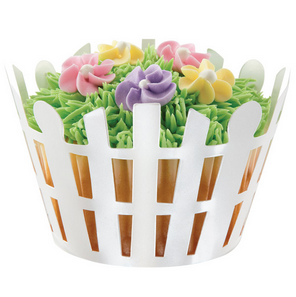 Today's small world came to me when I was at the cake store, and I saw bins and bins of all these little plastic cake decorations. 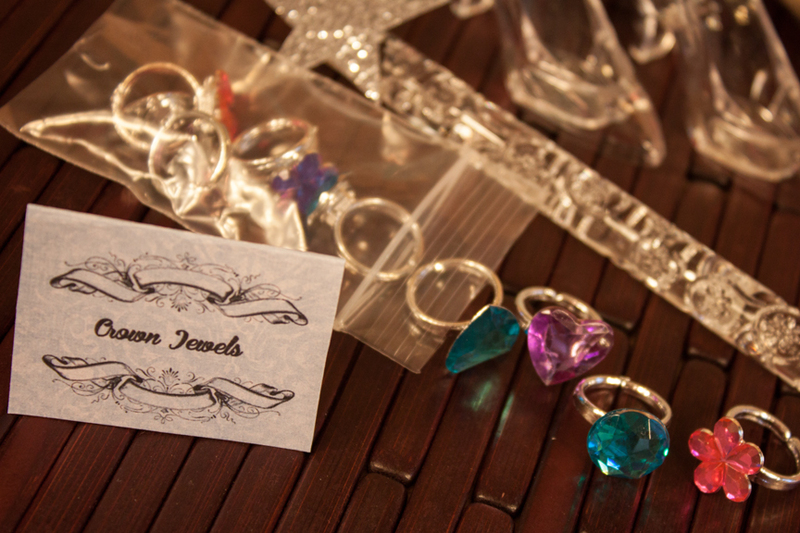 Some of them are rings, some are cupcake picks, and some are just little figurines. The palm trees are from the cake store also. I paid less than $5 for all of it. I would have liked to use sand in the big section of the table, but it would have been too hard to empty out (and save for future use) when we want to change it up, so I opted for pea gravel. 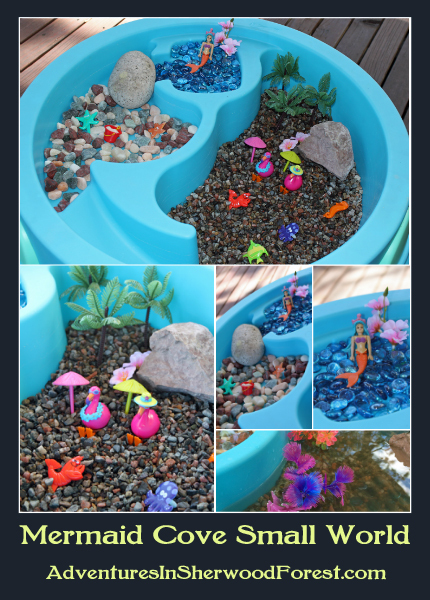 I really wanted aquarium gravel, but it would have been $8 at Walmart for two little bags and that probably wouldn't have been enough. I got a giant sack of pea gravel from Home Depot for $4. It was pretty dirty, so I had to do some work to rinse it out, and even then it still made the water a little murky. But after a couple uses, hopefully it will be nice and clean. The blue gems are from Dollar Tree (also used those in the dinosaur small world) and the flowers are from my craft stash, left over from a diaper cake that my aunt-in-law made for my baby shower. The decorative rocks (also used in the dinosaur small world) were from my craft stash, I bought them years ago at Michaels and have re-used them over and over for various purposes. After I put the water in, Claire started rummaging through her water toys and emerged with these aquarium plants that she got from a friend for her birthday. I had totally forgotten about them! 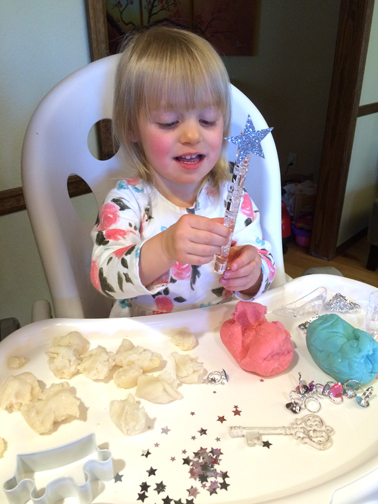 Claire has been crazy about carousels ever since she was a baby. I remember walking past a carousel (that was not functioning) when she was just saying her first words, and hearing her very quietly, very urgently saying, "Horrrse. Horrrrse. Horrrrse." And now, as soon as we walk in to the zoo, the first thing she wants to do is go on the carousel. 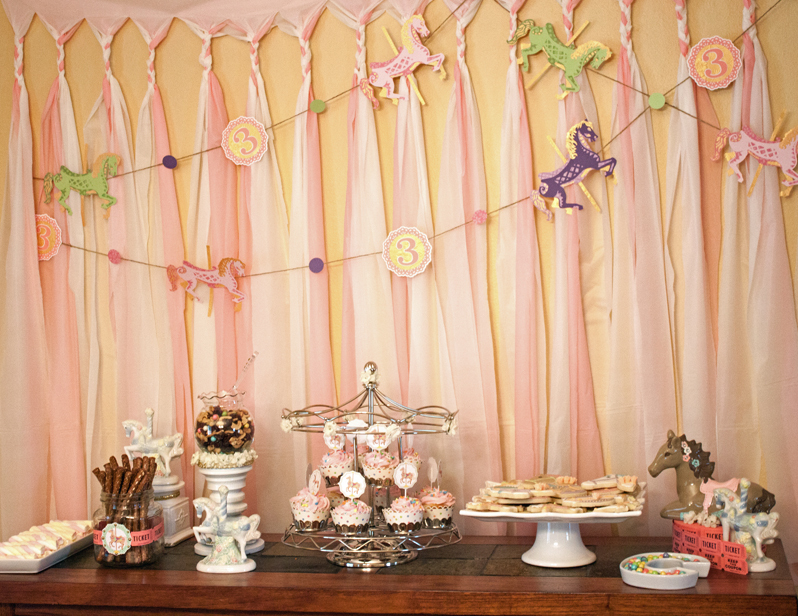 This was a fun party to put together, and the pastel colors just looked so beautiful together. I made the invitations with my Silhouette Portrait, using Jamie Koay's Ornate Carousel Horse tag and a PhotoShop brush set of scroll banners by http://lileya.deviantart.com/. 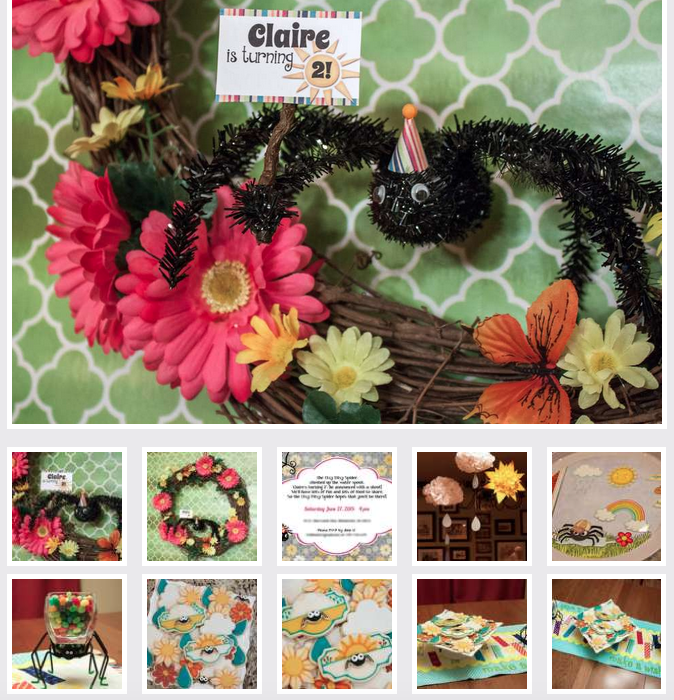 I made the backdrop with plastic table cloths from the dollar store, following the directions I found here. I used my Silhouette Portrait to make the bunting. 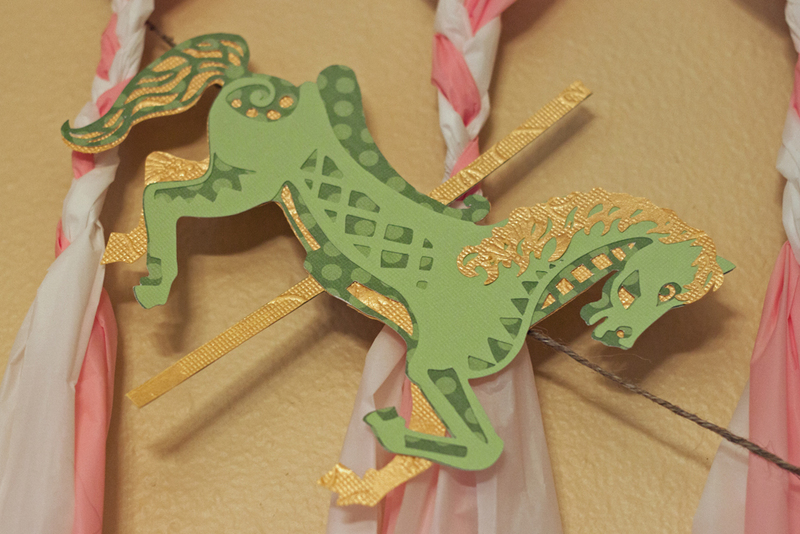 The Carousel Horse .svg file is by Erin Doran from the Silhouette Design Store. It was really easy to use, four layers that just layered on top of each other. 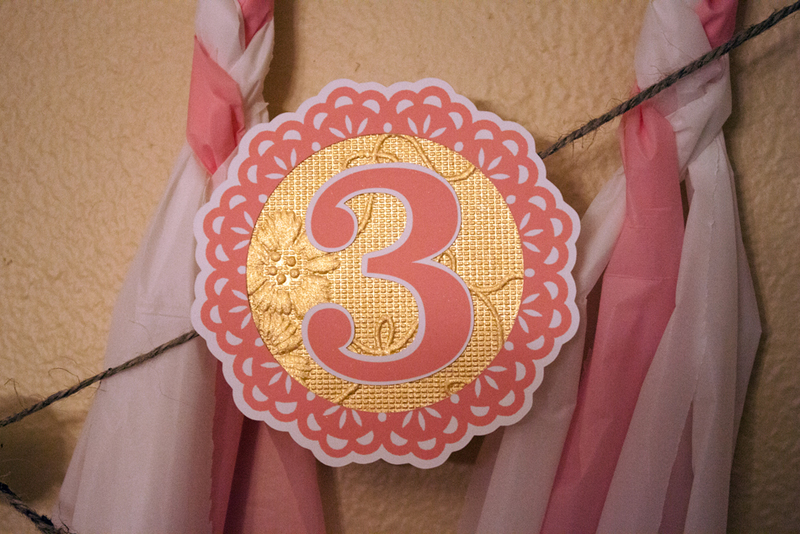 I made the "3" using a doily .svg file by Jamie Koay. I bought the gold paper from Jo Anns, and found out that it was really hard to use. It tore in some places and didn't cut all the way through in other places. I ended up having to use my Exacto knife a lot to finish the cuts. The paper is discontinued now. 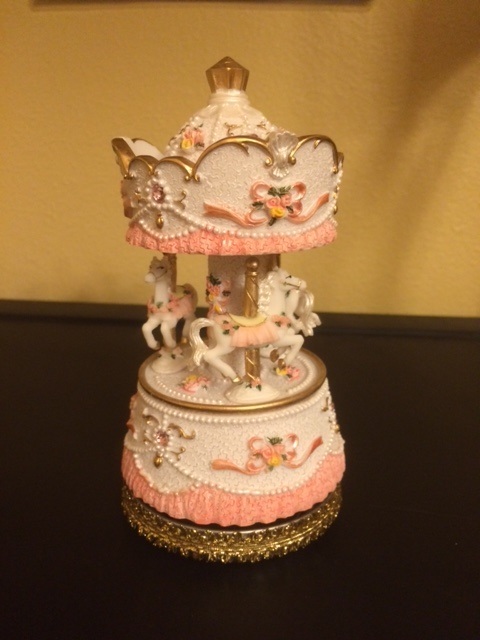 I found a set of three ceramic carousel horses on Ebay. They are now adorning her dresser :-) The white stands are candle holders I found at the thrift store that I spray painted white and decorated with some adhesive-backed gold trim I found in the dollar bins at Michaels. 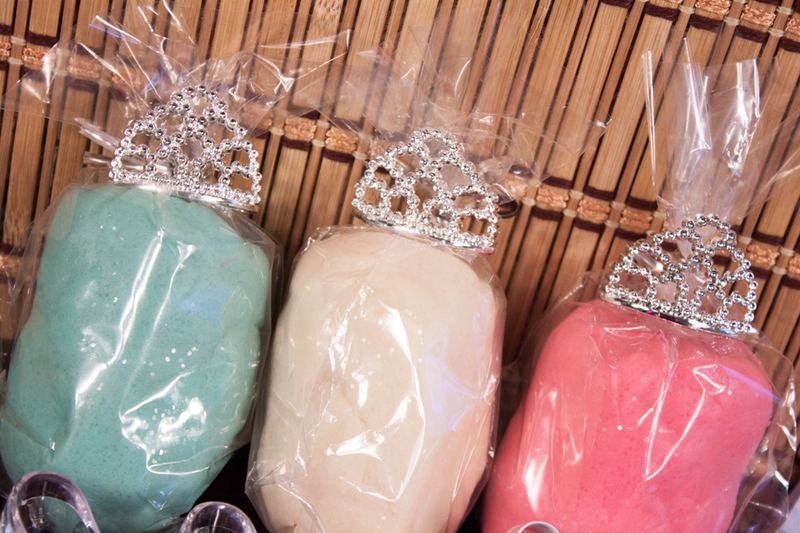 I found this pack of beautiful pastel marshmallow twists at Home Goods when I was shopping for serving dishes. I was so excited that I put down the dish I was buying in order to pick it up and then realized when I got to the checkout that I didn't even have what I came there for. They were nice and soft, and tasted great! This pretty brown horse is a coin bank that I found at Target, and the roll of tickets was purchased on Amazon. The "C" dish is from Ivy Lane and I found the sixlets at Jo Anns, perfect colors and a little shimmery, too. They were delicious! I found this little lady on Etsy. I used craft glue dots to attach her to the plate so she wouldn't accidentally be knocked over. They were perfect for each other! The carousel horse clip art is from JW Illustrations on Etsy; doily .svg file from Jamie Koay. The paper straws are from ShopCherrySprinkles on Etsy. I was going to buy some Martha Stewart paper flowers, but they weren't quite the right colors. After I found some instructions, I realized that paying $15 for paper flowers was crazy, and I made them myself in about 15 minutes. For the chandelier decoration, I used some tissue paper balls from Ikea, and glued little white flowers to them. I made the paper carousels with my Silhouette Portrait using Samantha Walker's Carousel Hexi Box tutorial. The cake was a Disney Princess Garden Royalty cake from the local grocery store, without the characters. It was chocolate with strawberry filling and whipped icing, and tasted AMAZING. 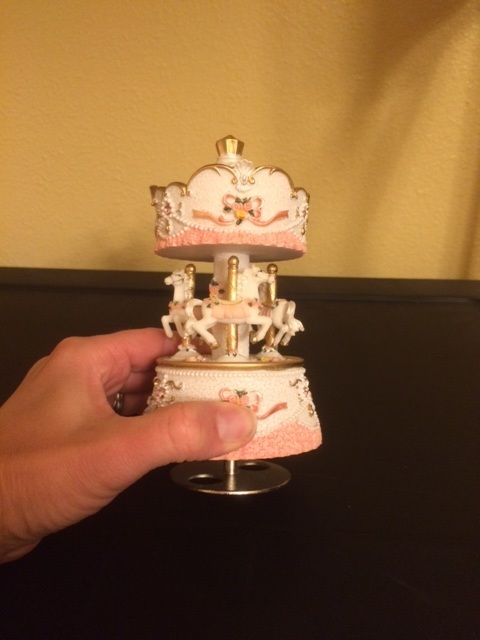 I bought a carousel music box from Amazon and used it as a cake topper and a gift. 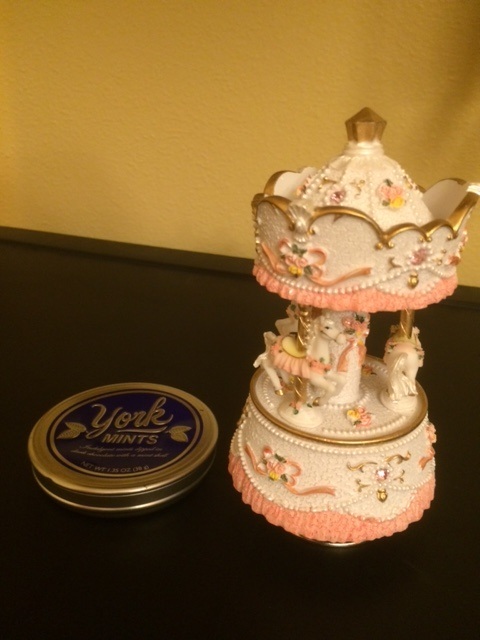 I didn't want to put the carousel directly on the cake, so I rummaged through Claire's play market and found this York Peppermint Patty mini container. I turned the lid upside down and attached some gold trim to the edge. It was perfect for hiding the metal disc at the bottom. My mom made the Funfetti Rice Krispie treats, using this recipe, and I found the pinwheel party favors at Jo Ann's on clearance for 70% off. Score! And finally, the cookies! I made the carousels with a cupcake cutter (very proud of myself for being creative instead of just copying someone else like I normally do ;-) The peach colored icing flowers came from a local cake store, and the gold shine food paint is from Tru Color, all natural made with annatto seed. Pinterest is a wonderful thing. I wasn't sure when I started this project if it was going to end up being one of those Pinterest Fails or not, but I was sure that I wanted to give it a try. 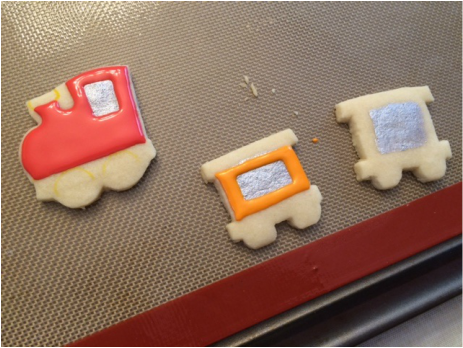 I found this big train cookie a while back and always wanted to try my hand at it, but I had no reason to make a big train cookie. 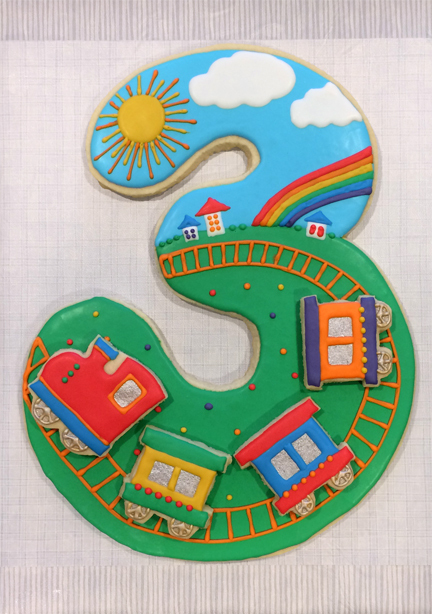 Until I got an invite to my friend's son's birthday party, who was going to be 3... and who loves trains. I made my own pattern using some clip art I found on the internet and a font called Porkys. I had to print this on two pieces of paper and then tape them together. I made one whole one, and then one with all the pieces cut out. 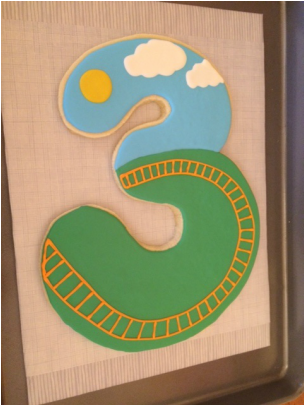 After letting everything cool, I transferred the "3" to my cake board. I slid a cardboard cake board under the silicone baking mat and then put another cake board on top, and carefully flipped it over. I peeled off the silicone baking mat from the bottom of the cookie and then put the cake board back on top (which was really the bottom) and then flipped it over again. Then came the icing. These are the most colors I have ever used for one project, I usually stick to a color palette of about 5 colors plus white. 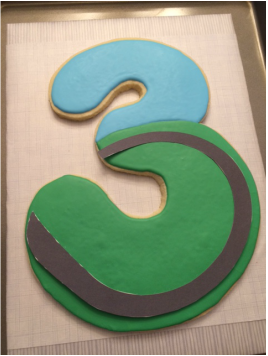 Because I was flooding such large areas, I also had to make two different icing consistencies for the green and cyan colors, a thicker consistency for piping the outline and a thinner one to fill it in. I almost ran out of green icing when I filled the base coat, phew. Had just enough. So, now I needed to somehow transfer my design to the cookie. I usually do this with food coloring markers, but I am not very good at following my lines exactly and I didn't want any marker showing, especially since the train tracks were pretty unforgiving. Since they are not filled in, I couldn't really make any mistakes with them. I ended up using an awl that I had bought, thanks to a recommendation I saw on a cookie site. It worked perfectly. I carefully scratched a dashed line in the base coat of icing. This way if I missed my line when I was piping, it wouldn't be as noticeable. I used that technique for many things - the tracks, the sun, the rainbow, etc. Then I just slowly worked away at all the different details, doing a little at a time and letting the colors dry before putting on another color. For the small areas and lines, I used my heat gun to apply heat for 20 seconds or more to prevent the icing from caving in, but as always, I still got a little caving. I also burned myself with the heat gun, but we won't talk about that. Lesson learned. I also melted the Glad wrap with the heat gun and had to transfer the cookie off and re-do it. Another lesson learned. 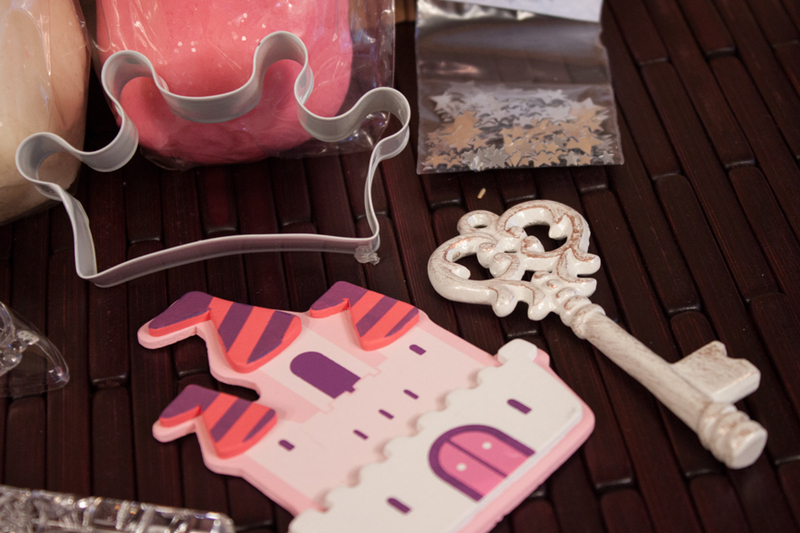 To make the windows, I painted the cookie with silver luster dust and then piped the icing on over the top of it. You can see my edible marker lines in this picture. A work in progress... the lighting in this room is really yellow. I kept it simpler than the original to give myself fewer opportunities to mess it up :-) All in all, I think it turned out pretty good and it was really fun! A couple days ago, I started full-on potty training with my daughter, using a sticker chart that we hung on the wall. We never really left the house for 2 days, so it was working great. Then today, we went to the store and she went potty in the restroom there and, of course, asked for her sticker. And I didn't have any. She was okay with it, but when I got home, I thought there must be something in my craft stash that I can use to make a portable sticker chart. 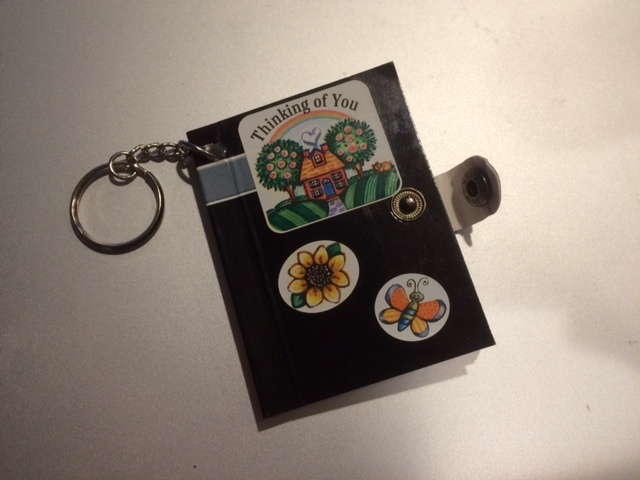 First, I was thinking a plastic checkbook cover would be great, but I didn't have anything like that, so I ended up finding this little key ring notebook. I bought 5 of these at Michaels (or was it Target?) out of the dollar bin years ago and never used them for anything, so this was perfect. First, I tore some pages out of the back to make room for a stash of stickers. 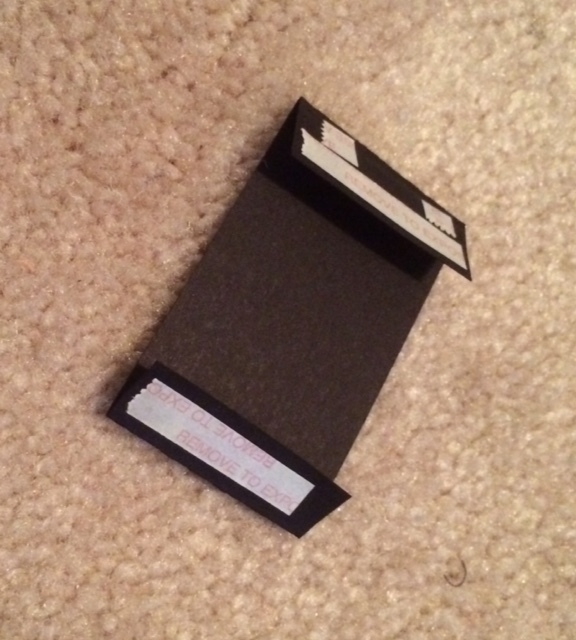 Then I cut a piece of card stock to make a little pocket and put some double-faced tape on it. 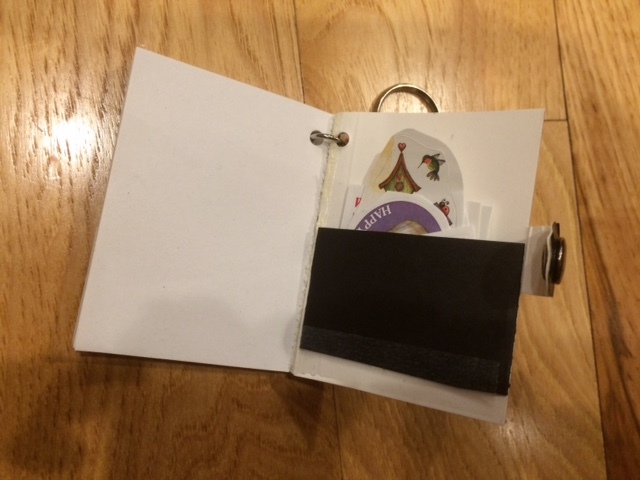 I put the pocket on the inside of the back cover and cut up a sheet of stickers to stash in there. 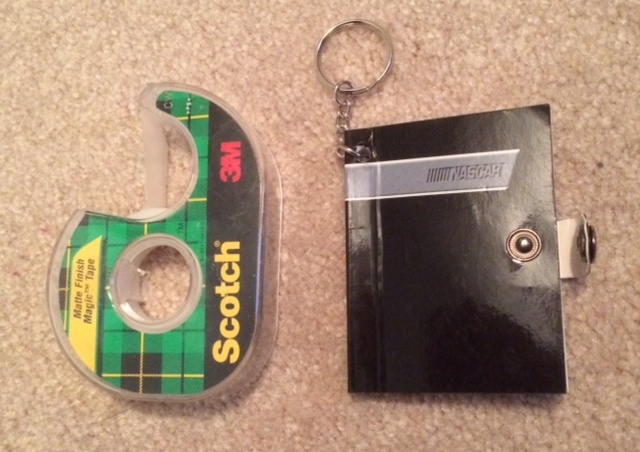 There's a line of Scotch tape at the bottom of the pocket so nothing falls out. Then I decorated the front with more stickers. I hung it from one of the zippers on the diaper bag, so we'll always have it with us, and we won't risk dropping it on a public restroom floor. 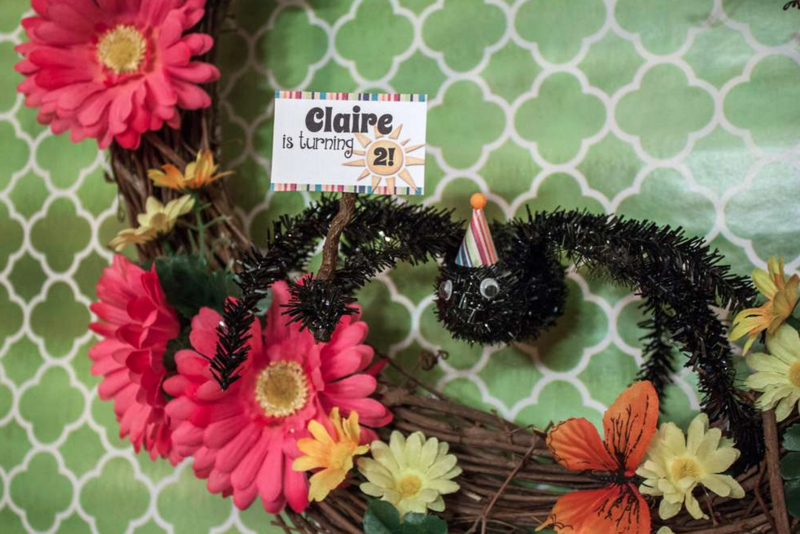 This was a really fun party theme to do because there's not much out there... they don't make Itsy Bitsy Spider themed party supplies, ya know? So, it forced me to come up with my own ideas. First, the invitation. 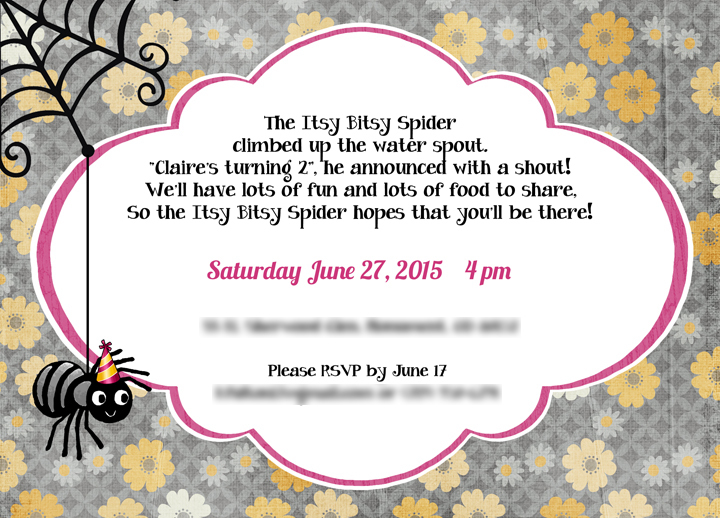 There are actually a lot of Itsy Bitsy Spider invitations out on Etsy.com. I liked this one, but the colors weren't quite right so I decided to use the general format and create my own. 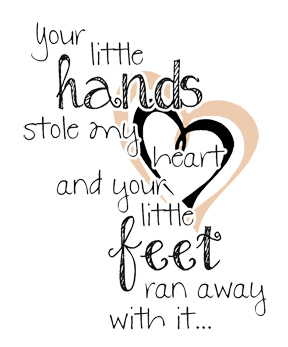 I also came up with my own wording, which I am extremely proud of because I'm not normally good at that stuff, LOL! Flowered paper from Your Sweet Smile digital scrapbooking kit from Studio Sherwood. Party hat and spider web found via Google Images, and spider was scanned from one of Claire's books, called "Hello, Bugs!" I started planning this party in October because that's when all the spider stuff is out in the stores. Most of the stuff was either the wrong colors or too menacing-looking, but I did find a couple things I got great use out of. The first was this big googly-eyed spider that I found at my local Safeway grocery store. Striped pattern from Color Happy digital scrapbooking kit by Michelle Coleman. Sun from Good Old Summertime by KimEric Kreations. I made a little party hat for him out of some paper and a plastic bead and hot-glued it on. The flowers are from a flowered garland I bought at Michaels; I pulled the flowers, leaves and butterflies off and hot-glued them around a grapevine wreath. I made the sign on my computer and glued it to a small stick. 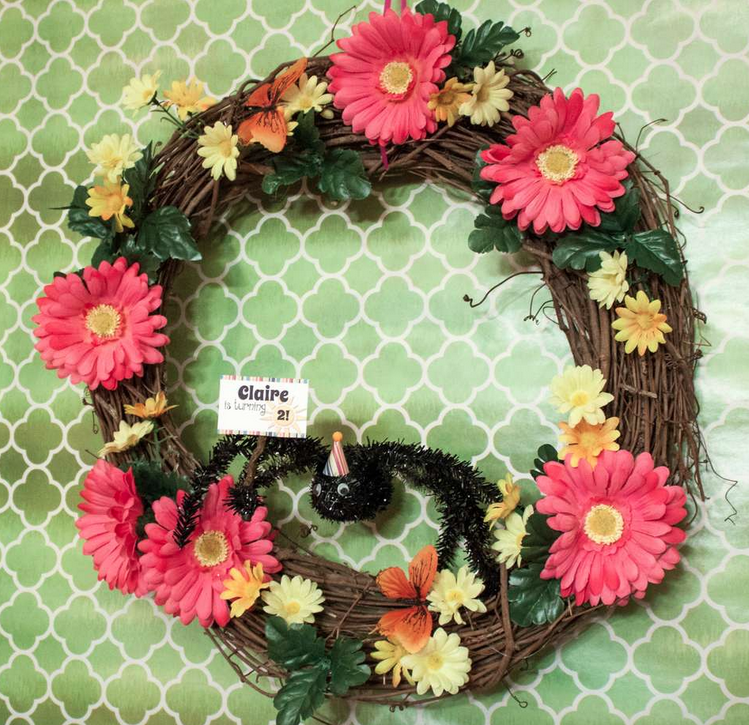 Claire LOVES this spider so much that I had to buy a wreath hanger and hang it on her bedroom door. She says "Hi Mr. 'Pider!" to it multiple times a day. 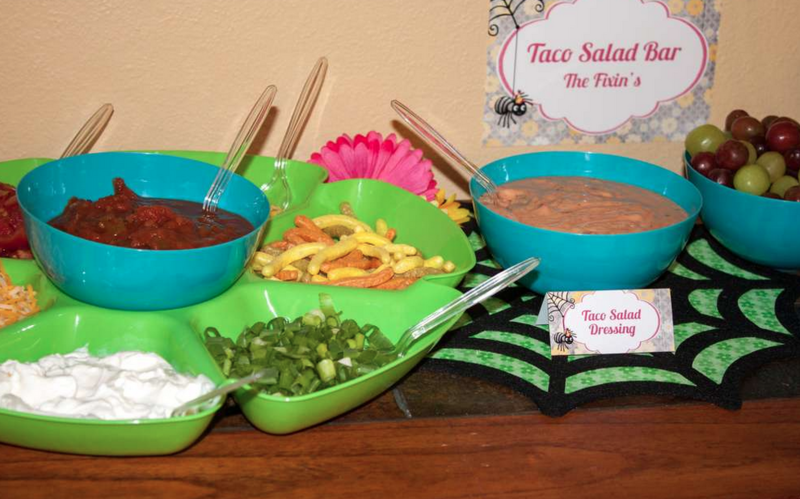 A couple of my favorite elements of the party were the candy dishes. 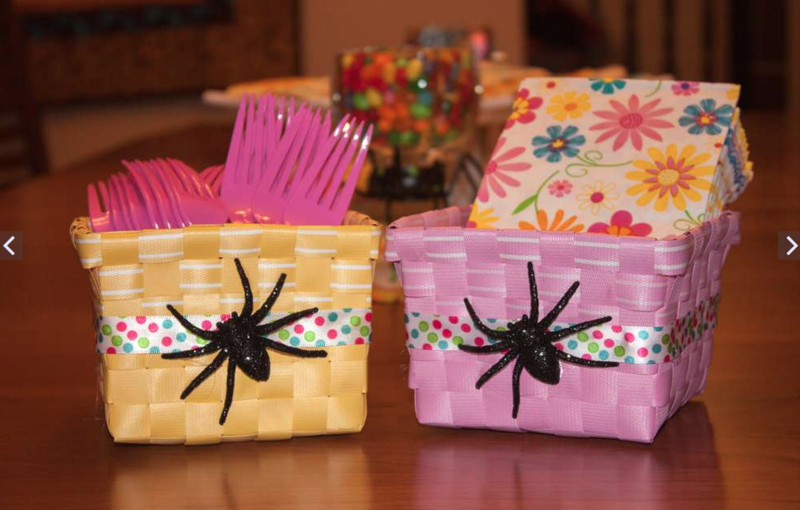 I found these spider votive holders at my local Kroger-affiliate grocery store in October. The glass dishes are candle holders from Michaels. I glued them together and put some colorful jelly beans in them. Can't wait to use these again for Halloween! I also found these glittery spiders at Walmart around Halloween, they came in a 12 pack. I used some of them to decorate Dollar Tree baskets (the same baskets I used for her first birthday party), and some to decorate the wall. The green background pictured here is wrapping paper from Dollar Tree, I used it to cover a large painting behind the food table and that's where I hung the wreath and the glitter spiders. The flowers are also from Dollar Tree spring selection. 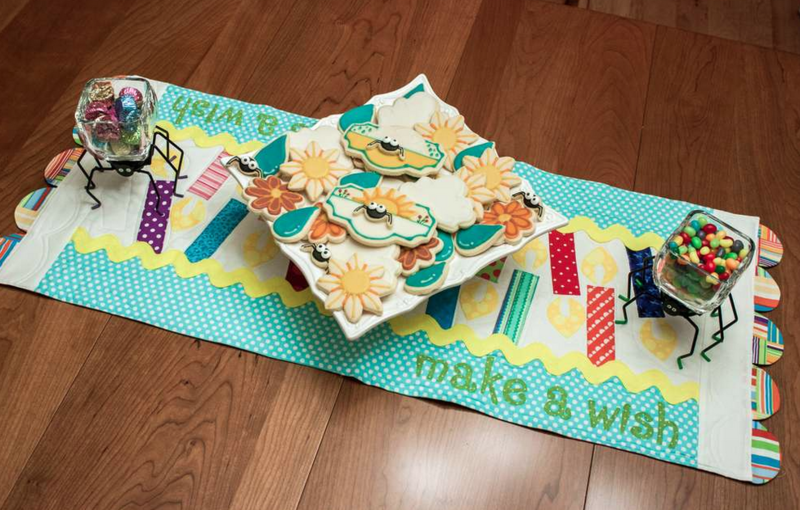 Napkins are from my local Kroger-affiliate, polka-dot ribbon from the dollar bin at Michaels. 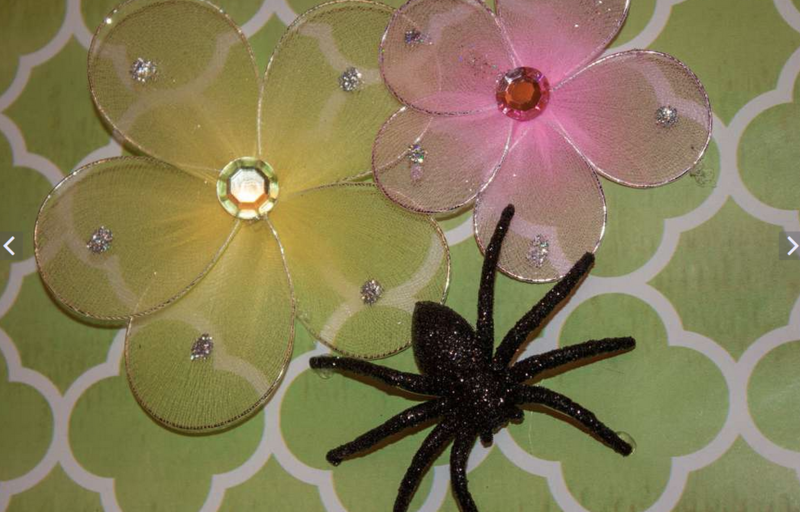 The other things I found at Halloween were these felt spider web place mats at Michaels. I glued pieces of green patterned scrapbook paper underneath them. 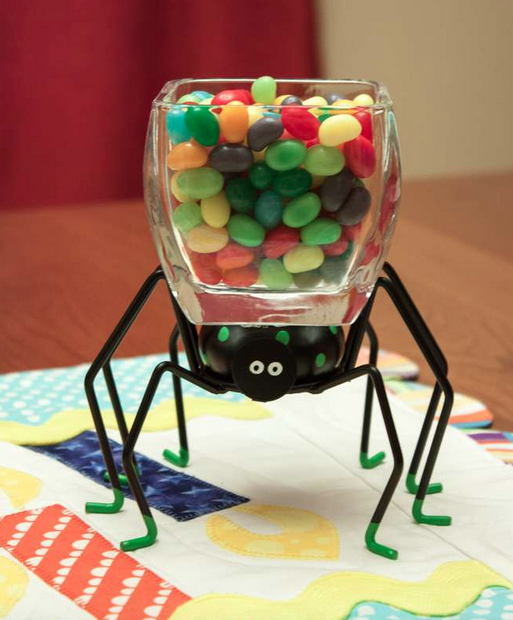 I was going to use them under my candy dishes, but the spiders on the candy dishes didn't stand out enough because it was black on black, so I used them on the food table instead. Next up are some hanging sun and rain cloud decorations made out of tissue paper. I could not get a very good picture of these due to the lighting, but they were REALLY cute. Some tutorials here and here for the tissue paper part. For the rain drops, I cut the shapes out of blue cardstock and just sandwiched the fishing line in between two pieces and glued it. For the cupcakes, I had a vision that did not turn out quite as I had hoped. 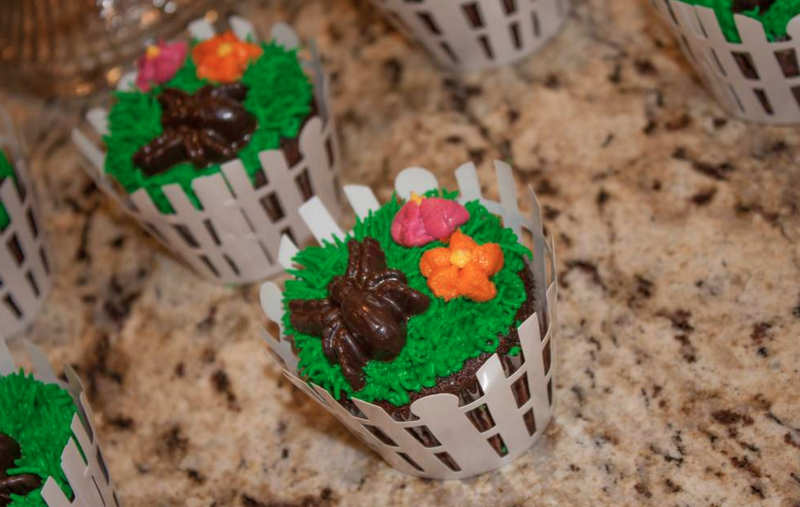 I wanted them to look like these cupcakes from Wilton, with two flowers and a tiny spider next to the flowers. But I couldn't find any candy spiders small enough. I tried making some by piping chocolate onto waxed paper, but that didn't go well. I ended up using a mold, but the spiders were bigger than I wanted them to be. We also used buttercream instead of royal icing for the flowers, so they didn't turn out as nice because we had to freeze them and then try to get them on the cupcakes without messing them up. And they sweated. Annnnd, the bakery took my request of "make the frosting look like grass" very seriously, and it was VERY green, LOL. I wish I had taken the Wilton picture in and told them to make it like this so it would have been lighter. They still looked nice grouped around the cake. 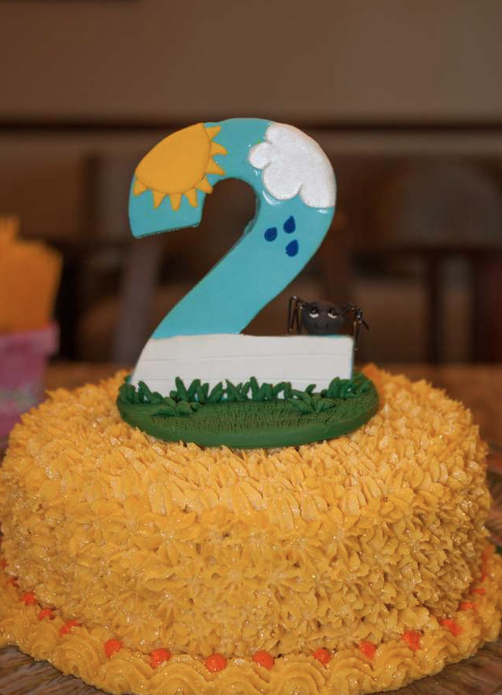 The cake topper was commissioned through Lynn's Little Creations on Etsy. 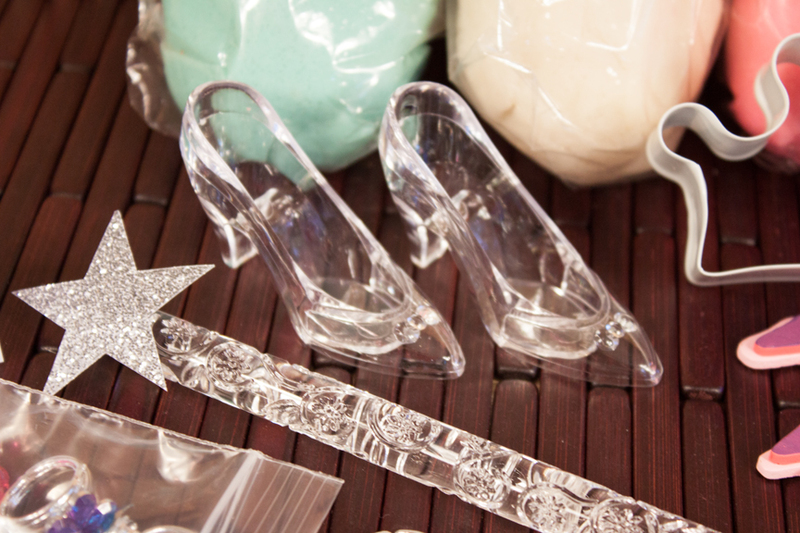 She made our wedding cake topper, so I decided that I was going to have her make Claire's birthday cake toppers every year, and then we would turn them into ornaments for the Christmas tree. It's kind of hard to see the spider in this picture, but he was so cute! 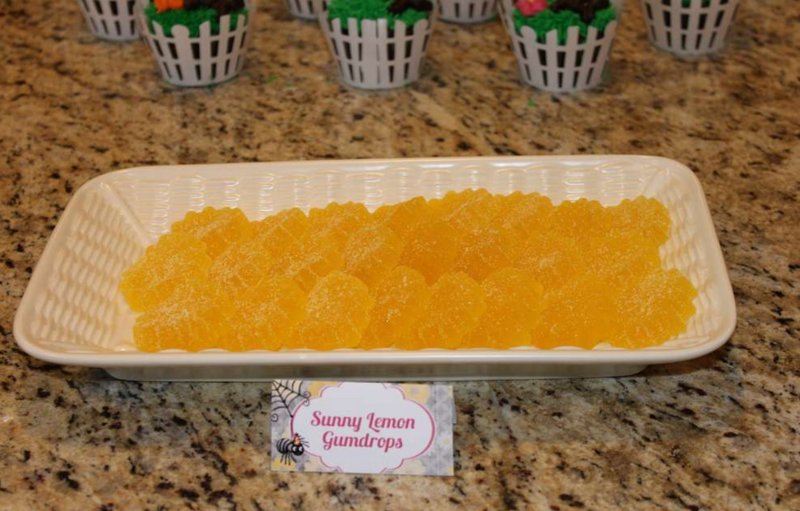 I made some Sunny Lemon Gumdrops using a star shaped silicone mold. I followed this recipe from Sew Can Do and used lemon extract. They were delicious! My pride and joy -- the cookies! 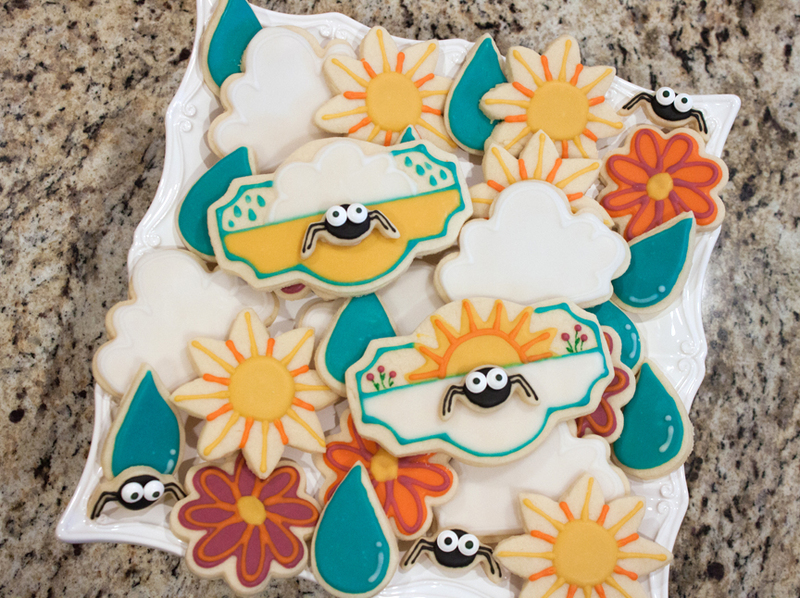 I got the idea for the plaque cookies from this sample picture at Karen's Cookies, and the idea for the sun at Glorious Treats. I made the rain drops with a heart cutter and then just sliced them in half. 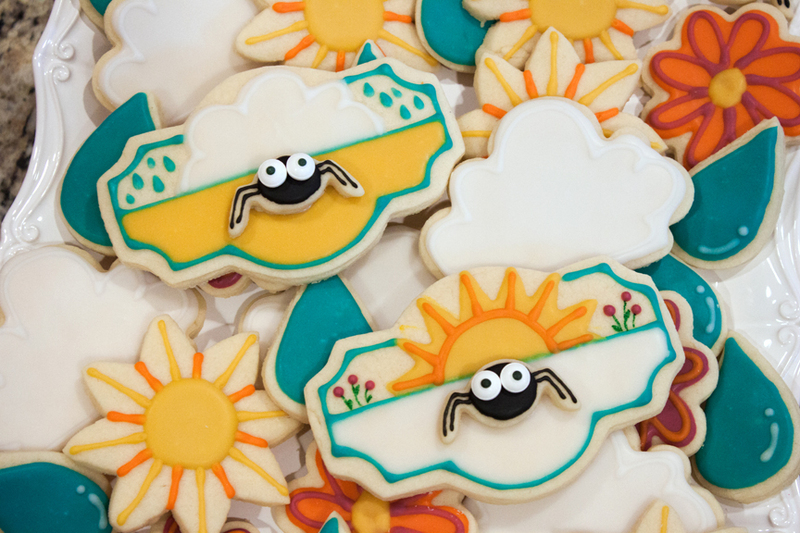 The tiny spider cookie cutter is from this Wilton set, and the eyes are these candy eyeballs, also from Wilton. And finally, the party favors. 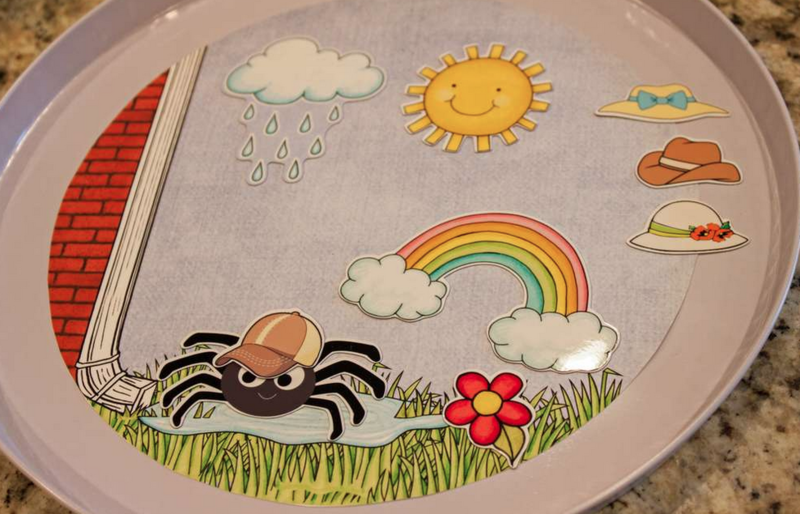 These are little magnetic Itsy Bitsy Spider scenes using printable magnet paper. I cut the shapes out with my Silhouette portrait. The metal background is a burner cover (2 for $1 at Dollar Tree). I created the scene myself using some graphics I found via Google Images, and various different digital scrapbooking kits by Kate Hadfield. Whew! That was a lot of pictures! The party was a blast! 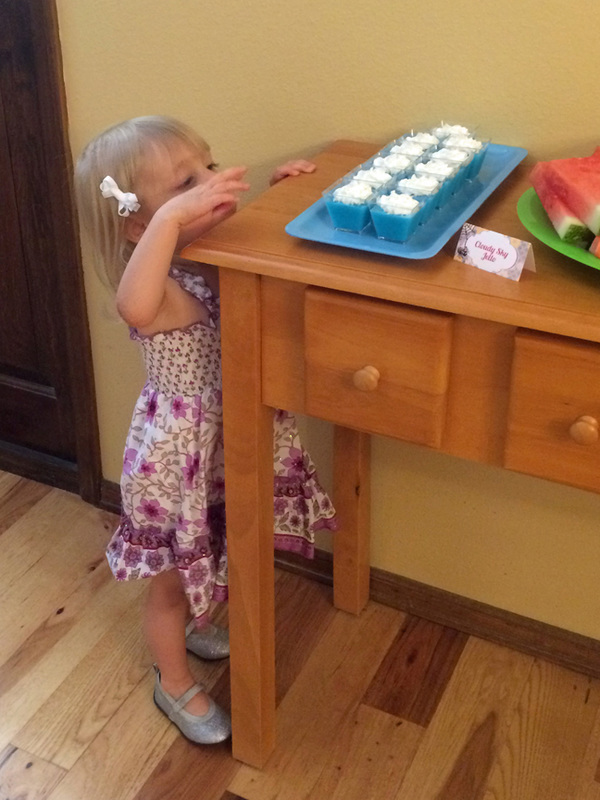 Here are a couple more of the birthday girl trying to sneak some jello... and the look on her face when she realized she was caught.